Yep, we spent all weekend in the mines to find these great cosplayer for you. Enjoy. 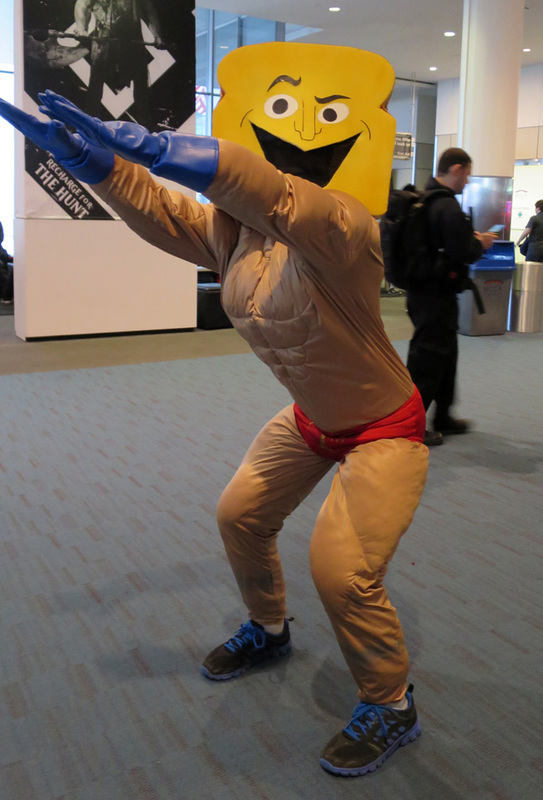 PAX East 2014 has ended, but that doesn't mean The Escapist's coverage has ended too. We've still got plenty of content coming your way, and to tide you over, we've put together one last gallery of the amazing cosplay our intrepid staff saw over the weekend. As always, it was hard to pick our favorites, but we think we've managed to convey how top level the cosplay game was over the weekend. Ren and Stimpy cosplay? You got it. Persona? Done. RWBY? Yep. And lots more - yet, weirdly enough, hardly any League of Legends. Read on to see for yourself. We'll start with this hilarious Powdered Toast Man.